I was amazed at the talent I witnessed today while out trick or treating. There are many moms (and maybe dads) who can turn a tame tot into a scary tiger or a beautiful princess. Why not use these talents at the next birthday bash? 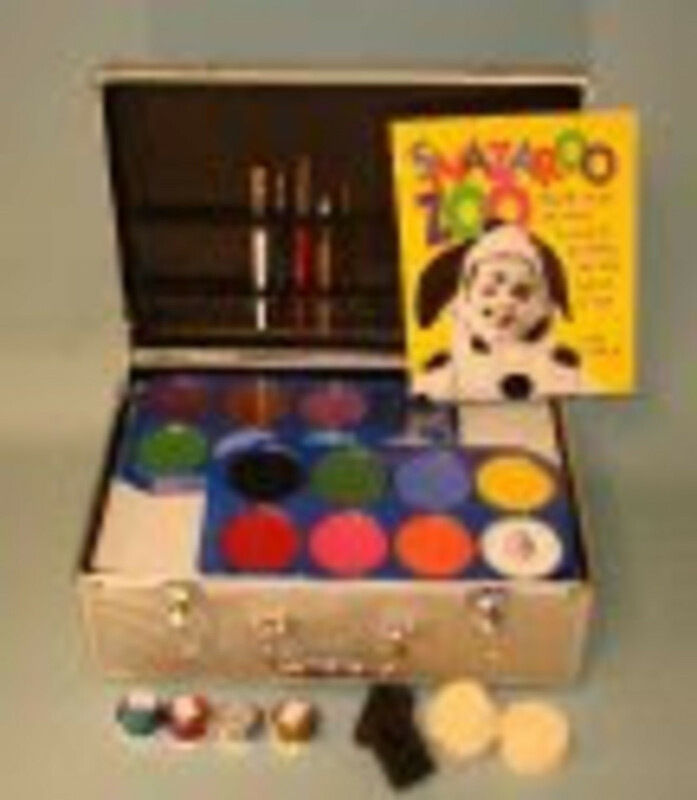 Snazaroo has a great variety of face-painting kits for beginners (that&apos;s me) all the way to professional sets.14-color wheels start at $24.99 and pro kits start at $250. Kits come with plenty of inspirational ideas and diagrams. To test the kits, I spent a sunny September day painting my daughter and two of her pals. They jumped in and out of the pool to give me a fresh canvas to practice on. It was great fun and cheap entertainment. Before the strike of midnight, here are my last ideas on the theme of birthday parties. Have you child decorate colored lunch bags with stickers and skip the pricier goody bags.